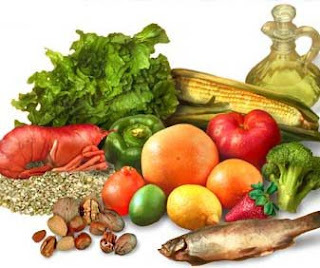 TBI Blog: Can a Mediterranean Diet Help Prevent Parkinson's? Can a Mediterranean Diet Help Prevent Parkinson's? People who follow a Mediterranean diet have lost weight and experienced a drop in blood pressure, blood fats, blood sugar and insulin levels, and these health benefits offer a longer life expectancy compared to people who are on a typical Western diet. Recent research showed that people who choose to follow a traditional Mediterranean diet are less likely to develop depression. From the Press Citizen: Picture a meal of tomatoes with garlic and basil sautéed in olive oil served over pasta, vibrant salad greens drizzled with olive oil vinaigrette, crusty bread and a glass of red wine. The flavors and aromas of the Mediterranean -- as well as the colors -- engage our senses. Much evidence points to the benefits of eating a wide array of plant foods in a spectrum of colors. For more than 50 years, scientists studying the Mediterranean eating pattern have supported it for its healthy outcomes. One recent review published in the American Journal of Clinical Nutrition found a Mediterranean eating pattern has a protective effect against chronic diseases such as cardiovascular disease, stroke, cancer, Parkinson's disease and Alzheimer's disease. Another review published in Diabetes Research and Clinical Practice found a Mediterranean eating style to be associated with reduced risk of type 2 diabetes. Keep reading to find out what makes up a Mediterranean diet.